The RX12u is the smallest and most affordable model Robomow have ever built. It is best suited to those with small yards (upto 150m2) that are shaped a little more complex than most. Because of its very smart navigation and mobility, the RX12u can handle these yards much more effectively than others. 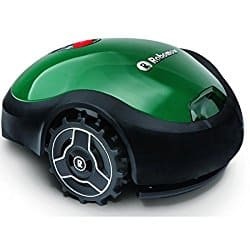 Now, even though it is smaller and cheaper, the RX12u still has the great mowing features that you would see on Robomows bigger and more expensive models. Considering everything that this model is equipped with, it is very difficult to match how much value the RX12u provides. But to see if it belong in your lawn make sure you stick around as I’ll be reviewing all of its features, functions and capabilities. Robomow RX12u compared to the Robomow RX20u. Where can I purchase this model? How does this compare with it’s slightly bigger brother the Flymo RX20u? The difference between the RX12u and the RX20u are in the ability to schedule cuts, which you get with the RX20u, as well as this you get the android app connectivity and being able to mow in up to 5 zones with the RX20u. The RX20u also has a security key which renders the device useless if removed. If you don’t require the larger lawn coverage and these additional features then the RX12u is still a contender, with the convenient touch and mow button. Just hit go when you want to mow! 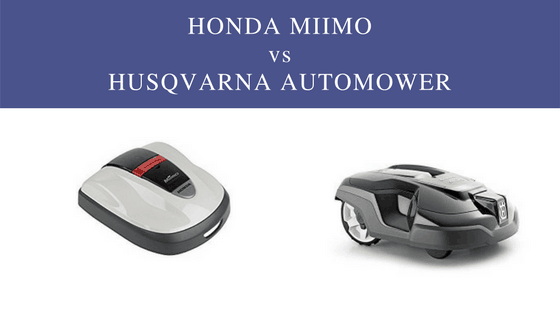 Both RX models do NOT have the Smart Mow technology built in, this is only found on the RC and RS models. 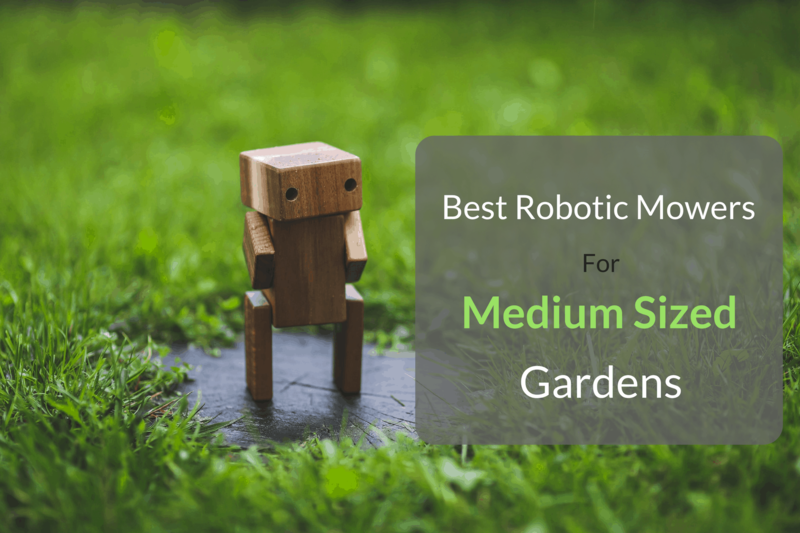 However, Smart Mow alone is not enough to handle a complex yard, with many small spaces and narrow passages. That is why Robomow have made the RX12u much smaller and compact than any other of their models. With this design it can squeeze through even the tightest of angles. Giving it a better chance of covering every inch of your yard. And it can also travel along gentle slopes reaching 8.5° – which isn’t the best if I’m honest, the majority of robomowers can reach up anywhere between 20 – 22°. Just make sure to keep it in the back of your mind before purchasing. Again this is slightly different from most models but just like above, it actually improves the mobility of the RX12u. Instead of making use of the standard three wheels, Robomow have went with something a little more innovative. 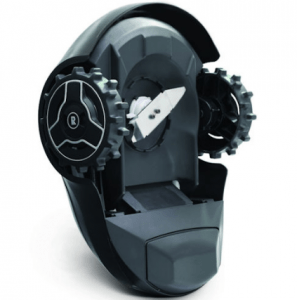 Just like all Robomow models, it uses two big wheels at each side so that is stays balanced and steady. But instead of using a typical third wheel at the back, the RX12u has been fitted with a Glider. This promotes better maneurverability as it gives the mower much more freedom and allows it to make turns with ease. Making it perfect for complex yards. The RX12u mower is powered by a Lead Acid battery and electrical motor to produce between 90 – 120 minutes of mowing time. If it doesn’t finish the lawn in time then you could be left waiting up to 20 HOURS for it to fully recharge. Considering the size of lawn it’s designed for the RX12u shouldn’t have a problem finishing lawn in one go but I have to say I was a little shocked when I seen this. The reason behind such a poor charging time will be the fact that the mower makes use of a Lead Acid battery, these are less efficient than the much more common Lithium-Ion battery seen in all robomowers (or at least all the ones I’ve seen anyway). Other than not being able to develop one to fit the RX12u, I can’t think to why Robomow wouldn’t fit this model with one. I’d imagine this will be quite a turn off for most people and is definitely something they’ll need to work on going into 2018. So whenever the mower comes across any bumps or holes while on route, it will be able to cut it just as evenly as flat land. 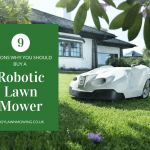 So that this model can take care of a whole range of complex yards, like all Robomow mowers, it can travel between separate lawns (5 of them). There’s no need for you lift it from one to the other, as long as there a passage of some sort it can make its own way there. However you will need to make sure the perimeter wire surrounds all lawns and that the passage is not too narrow (see user manual for exact measurement). This shouldn’t make the installation process any more difficult but I guess that depends on your lawn. And even if it is, this saves you the effort of dragging it from one to the other. So I think it will be worth your time anyway. The RX range of robotic mowers do NOT come with a rain sensor. 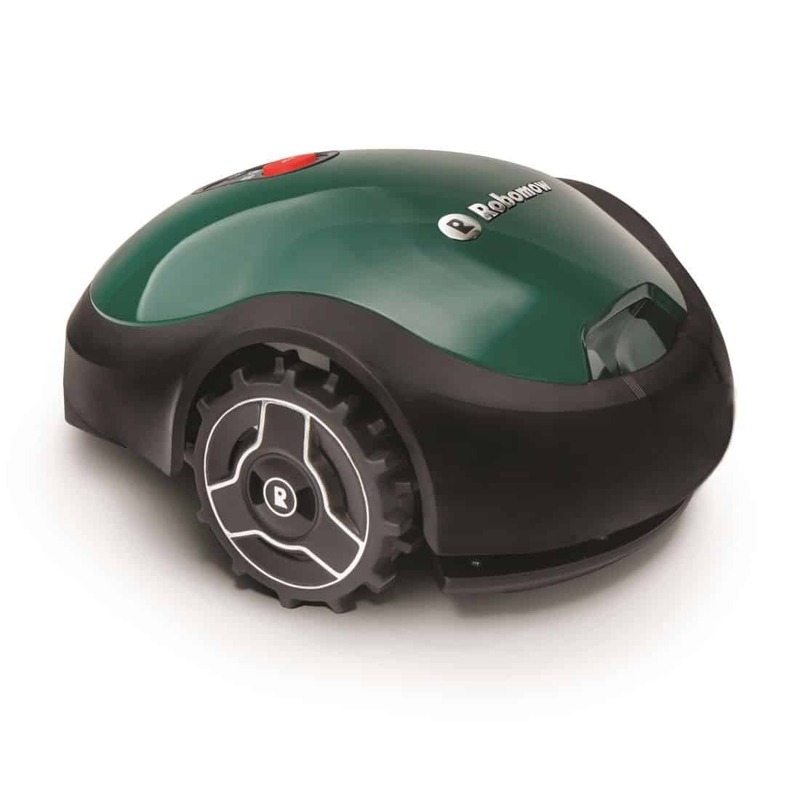 Rain sensors are found on the RS and RC Robomow robotic mowers. 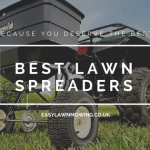 In order for this mower to work properly around your lawn, you need to ensure that there is at least 15cm of space between one length of perimeter wire and another. Just make sure you keep this in mind before purchase. If you have any areas of lawn which are narrower than this then the RX12u will not even be able to pass through here, never-mind mow it. The Robomow RX12u does NOT have the app functionality. You would need to purchase the next RX model up, the RX20u! The RX12u is equipped with a slightly different blade than other Robomow models. It is a little smaller and only has two edges, probably to account for its smaller size. But don’t worry it is still just as effective. Built strong and tough, this blade gives you a flawless cut and will only need to be replaced once a season, saving you time and effort. And as I mentioned earlier, you can adjust its cutting height (between .5-1.7 inch) for the changing seasons. For the benefit of your lawns health and so you don’t have collect all those pesky clippings, the RX12u cuts your grass into small pieces. So small in fact you that cannot see them after mowing because they have fallen all the way down to the bottom soil. 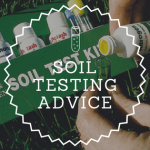 The clippings will begin to decompose and act as a fertiliser (mulch), providing nutrients for the soil to improve its growth and overall health. 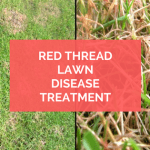 This results in a much fuller, greener and better looking lawn. So not only will the RX12u maintain your lawn but it will also improve it as well. So that the RX12u can fit into different environments and adapt to different situations, you can program it work to operate differently. The Robomow RX12u does NOT have the Turbomow feature. This feature can be found on the RS and RC models. So that the RX12u operates using minimal energy for cutting your grass and maintaining your yard, you can set it into ‘Eco Mode’. So when you want to save a little bit of energy this feature is ideal. However be warned this does slow down the RX12u work rate so it will take longer to finish the mow. Now this is the most useful of all modes – the ‘Edge Mode’. This program instructs the RX12u to follow the perimeter wire and cut only the borders of your yard. 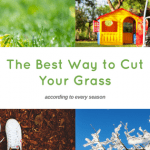 Giving it a chance to reach and cut the outer limits of your lawn. However the problem is still not quite solved yet. If your lawn is next to the wall of your house or a fence, the RX12u can still not cut the grass beside it. So after every mow, you will have to go out with the trimmers and clean this up. This can be quite annoying but I think it’s more than a worthy trade for mowing the entire lawn yourself. Okay so you probably have some garden accessories in your lawn like chairs, potted plants and trees. Well wouldn’t it be a shame it your brand new mower ran off course and started eating these. I think you wouldn’t be best pleased and you’d probably want a refund – I would too. Well no need to worry the RX12u comes with its own bump sensors. So whenever it comes into the slightest contact with any of these obstacles, it will stop immediately and turn off its blade, recalculate a new route to follow, move backwards a couple of spaces and turn to mow in a different direction. Keeping everything – including and especially you – safe when it’s away at work. 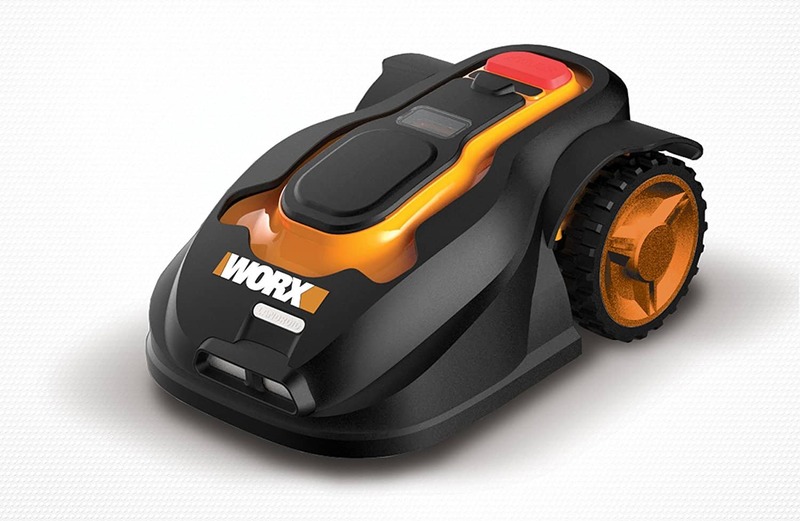 The RX12u is equipped with sensors that turn off the blades immediately when the mower is either lifted or tilted. So if you need to replace or clean the blades, don’t feel scared or cautious, you will not be in harm’s way. Although if you can be a little overcautious at times (like me) then lift from the back of the mower. This is furthest point away from the blades and there’s a handle to grab hold on. To protect your mower from being stolen and so that others can’t use it unauthorised, the RX12u comes with a PIN code. The mower also comes with a Child Lock to prevent anyone unfamiliar with safe operation from operating it freely. Because of the mowers shape and the size of blade, it can’t reach grass beside a wall or fence. This means you’ll have to get the trimmers out once in a while. For the Bluetooth connection to work you need to be standing quite near the mower so you can’t control it from your couch. The Charging time of 16 – 20 hours is a very long time to wait before the RX12u can get back to action. But considering the size of lawn it is built for it should finish this in one go. So there isn’t all that wrong with the RX20 if you compare it to other models. This model has so many good qualities that having a couple of flaws is more than acceptable. As you can probably tell from my tone just above, I am really impressed with the RX12u. For such a small mower you are get so much value and I think an appreciative hat tip to the folks at Robomow is in order. From what I have seen the RX12u has definitely out done its competition. Features like the Floating Deck and the Glider really do make this perfect for the small, complex lawns. And not only that but things are included that you usually only find on a high end model – like the mobile connection and multi-zone feature. If you have a small yard and are in the market, then I recommend you make this your first choice! Hopefully these pointers have made it clear if you’re suitable for the RX12u. This really is a great mower and if you have the garden for it, I know you’ll love it! If you want to check out the latest prices make sure you click on the links below to see the latest price.